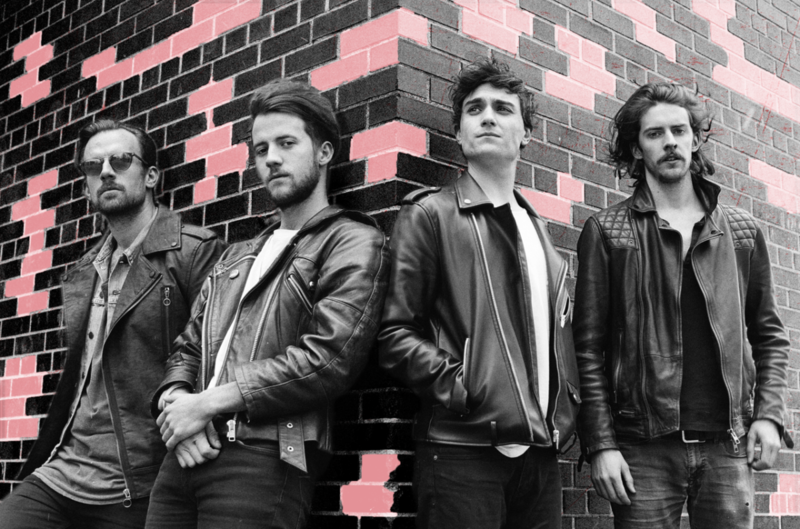 The quartet that makes up the soul-pop band ROMES met while in school in Wicklow, Ireland. After playing together casually for a decade, they decided to make it official, with two of the four relocating to Toronto, Canada to get the band back together, as it were. ROMES released their debut EP in 2016 to acclaim from The Irish Times, Q Magazine, and fellow musician Hozier. Their title track “Believe” was licensed for NBA’s playoff coverage that year, and their self-titled studio album followed in October, 2017. For bass player Andrew Keyes, his newfound home is an exercise in creativity. “I’m currently living in Kensington Market—a unique, diverse neighborhood in Toronto that feels more like a small village and community than part of the city itself,” he says. 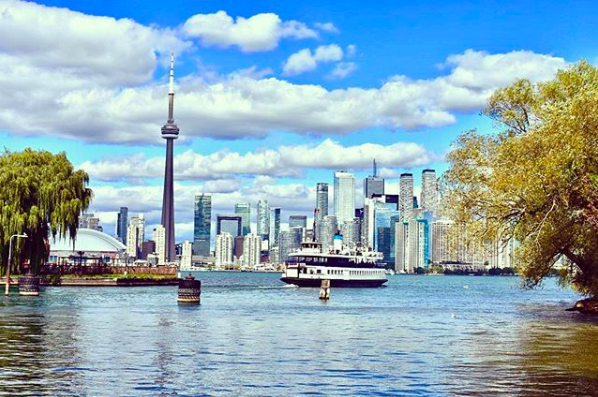 “It has fantastic dive bars, live music venues and restaurants, and a vibrant, eclectic community of artists, musicians, writers.” Here, he shares his guide to Toronto. The local coffee shop in the Kensington neighborhood. Photo by @dogmeister. How do you caffeinate in the morning? 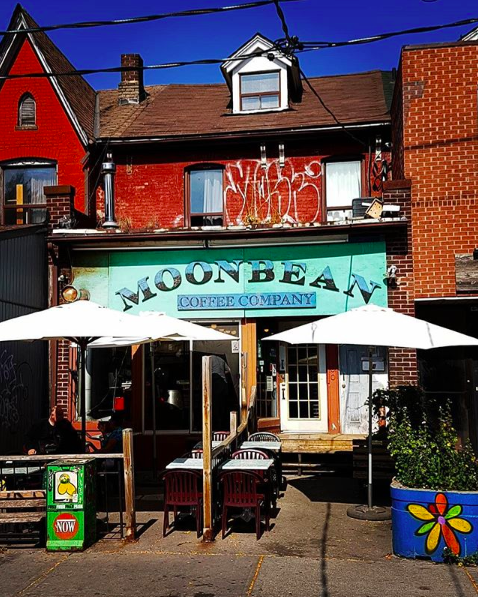 Moonbean is my favorite coffee shop in the city. I'll pop down there and get a croissant in the Blackbird Bakery and catch up on my emails. 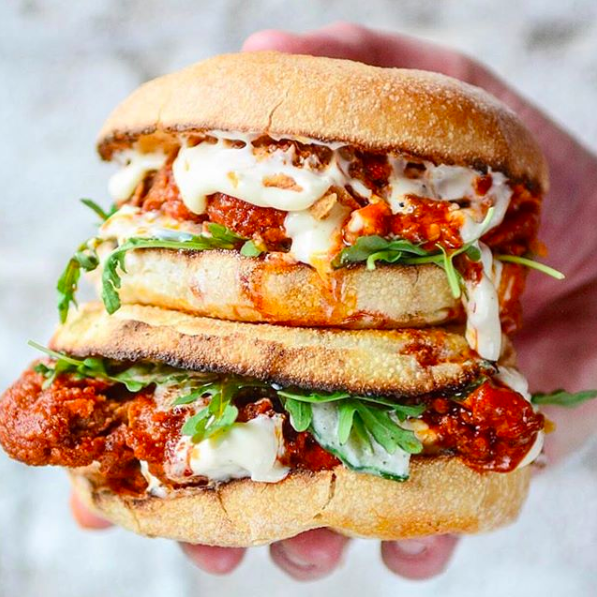 A fried chicken sandwich special at Porchetta & Co. Photo by @porchettaandco. Describe your ideal food day in Toronto. My day would start with a bit of breakfast at Aunties and Uncles, and far too many cups of coffee. Banh Mi Boys and Porchetta & Co. do some of the best sandwiches in the city, and you definitely get a lot of bang for your buck. Barrio Coreano is a Korean and Mexican fusion restaurant made for a group of friends to get together and order everything off the menu, and try as many different dishes and cocktails as possible. It's always a fantastic time; the food, drinks, ambiance and music lend themselves to a great night. 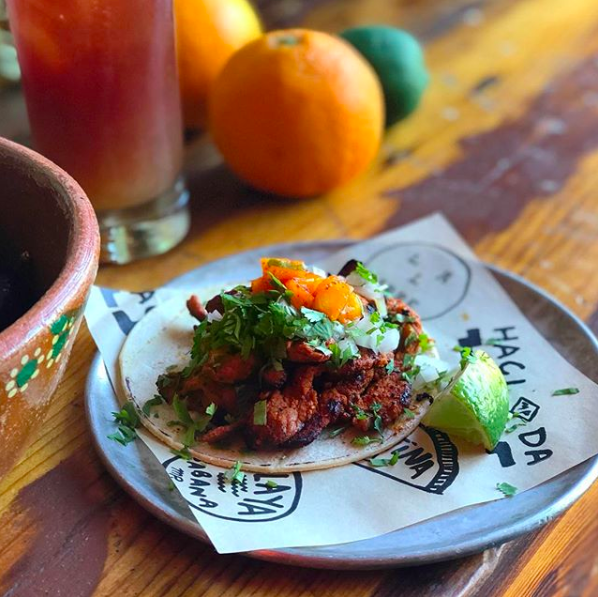 The al pastor taco at Barrio Coreano. Photo by @barriocoreano. What’s the dinner place you take all your visitors? La Carnita is a great place to go with friends. They have fantastic tacos, a delicious cocktail menu, and the music is always on point. It's great for sharing a ton of different dishes and drinks and is always a hit with our friends and family. A recent show at The Danforth Music Hall. 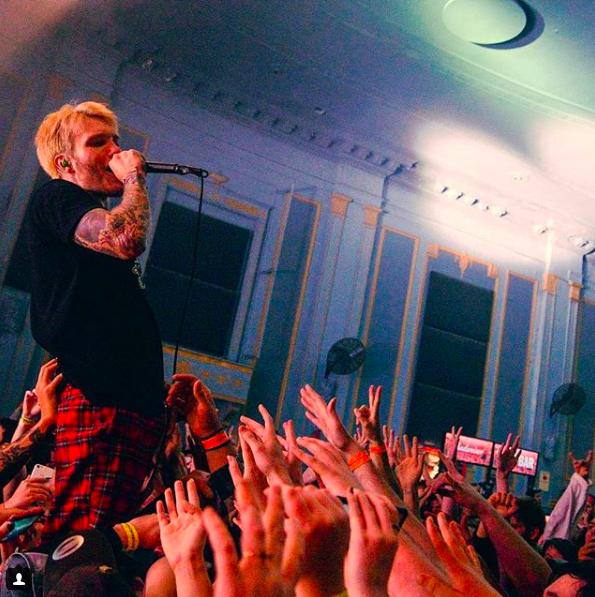 Photo by @thedanforthmusichall. Describe your perfect night out? Getting dinner and drinks with a group of friends at either La Carnita or Barrio Coreano and then going to a gig at the Danforth Music Hall. It's my favorite live venue in the city. What’s your favorite hotel in Toronto? I've never had to stay in a hotel in Toronto, but the Drake Hotel has a live venue where you're sure to find the next big artist or band while they're passing through on tour. Plus, the food and drinks are always on point. Perfect way to see—and get away from—the city. Photo by @jerry_stogga. Where do you go for some R&R? In the summer, there's nothing better than catching the ferry out to the islands and spending the day there. It's great for a swim and to rewind. It's an oasis right by the city. 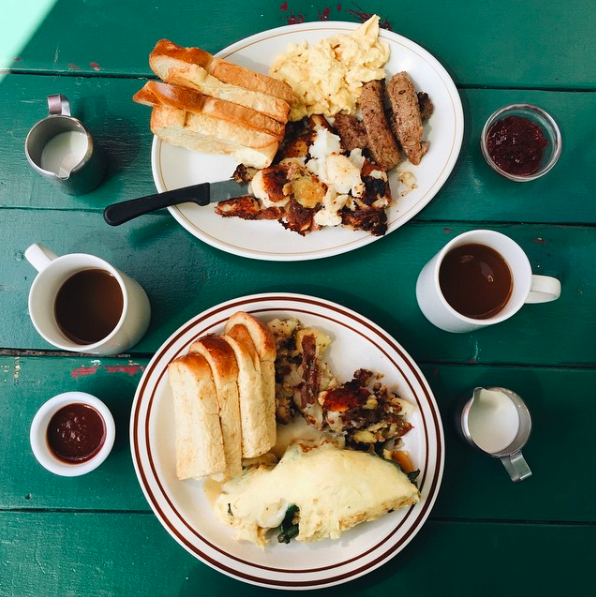 Breakfast is served. Photo by @mauderockwell. Aunties and Uncles and Old School, because you can't go wrong with chicken and waffles for breakfast! What’s the best music store in the city? Paul’s Boutique is the best music shop in Toronto by a country mile. The staff are friendly and knowledgeable, and they're constantly getting amazing vintage equipment in stock. It's a dangerous place to go if you've some cash burning a hole in your pocket! 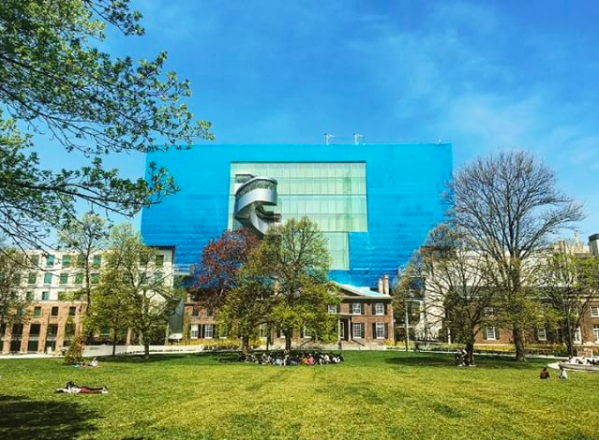 The Art Gallery of Ontario's famous blue hue blends with the summer sky. Photo by @agotoronto. Do you have a favorite museum or art gallery? The Art Gallery of Ontario and the Royal Ontario Museum are the places to be if you want to see some dinosaurs. What’s your best recent Toronto discovery? High Park and the Toronto Islands are the best places in the city to spend a day in nature. They feel like a lifetime away from being downtown in a city, and High Park in particular is the closest I can come to being in Wicklow while still being in downtown Toronto. Also, Allen Gardens—it’s one of Toronto's oldest parks with a massive conservatory. It feels like you're in jungle.